Looking to sneak in a nap on the porch before firing up the grill, or hosting the kids for a fun afternoon of coloring and reading on the patio? For extended comfort, nothing can compare to POLYWOOD® deep seating furniture, designed with plush, generous cushions for prolonged support and relaxation. 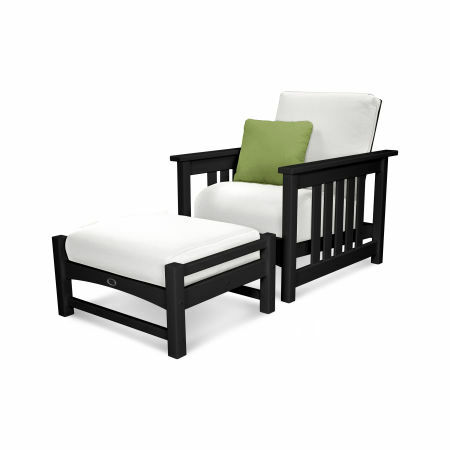 Fully unwind and let your cares disappear when you curl up in an outdoor deep seating set. 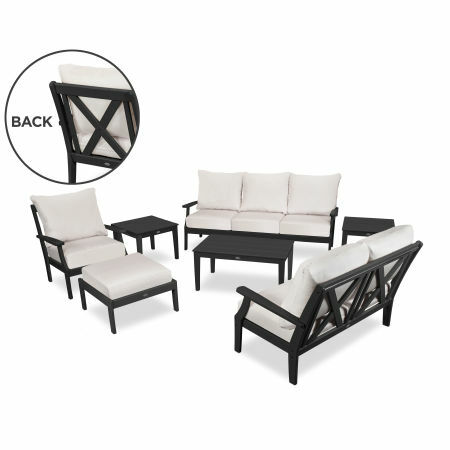 Luxuriously upholstered and constructed to last generations, POLYWOOD outdoor deep seating sets pair deep seating sofas, settees, rockers, chairs, ottomans, coffee tables, and end tables together in a myriad of combinations to provide the perfect outdoor setting for your specific household. Be present for every moment with expertly contoured cushions and frames that will make you think your living room has been transported to your deck or patio. 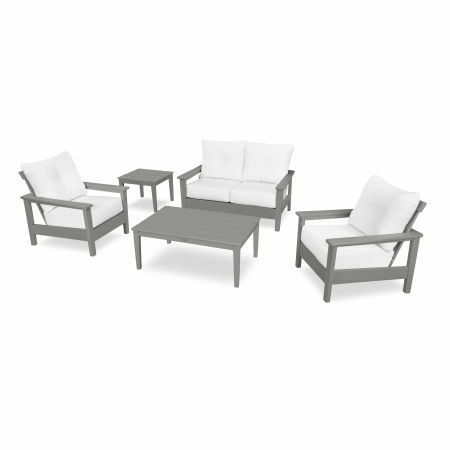 POLYWOOD deep seating sets are available in several of our most popular collections including Vineyard, Mission, Harbour, and Club. Explore the details of each deep seating set to compare features, sizes, and benefits to weigh which option is the best fit for your home and style. Take a deep dive on our blog and compare styles of deep seating furniture. 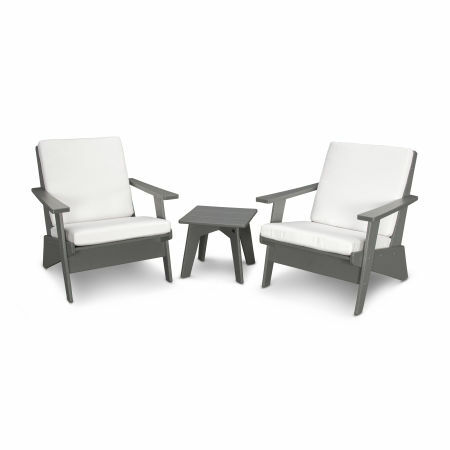 Outdoor deep seating sets are built to give you peace of mind and allow you to enjoy the simple pleasures of the outdoors without needing to move, adjust, or even stand up to grab your drink. Sink into lasting comfort by creating a haven on the back patio or a cozy spot on the front porch deep seating furniture that can be customized to match any existing design elements. 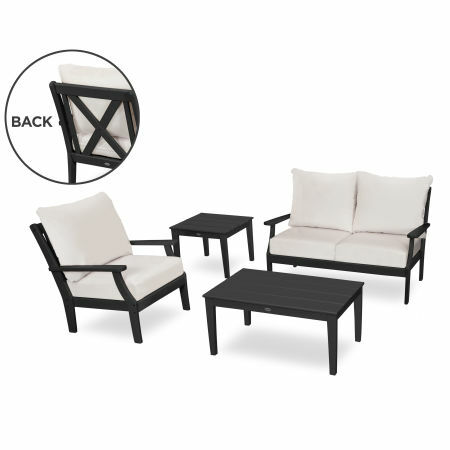 POLYWOOD outdoor deep seating sets represent the highest-quality outdoor furniture available: from the genuine POLYWOOD frame to the Sunbrella® upholstery, every inch of your deep seating furniture is engineered for longevity and dependability. The HDPE lumber can withstand the strongest elements without cracking, splitting, chipping, or decaying. 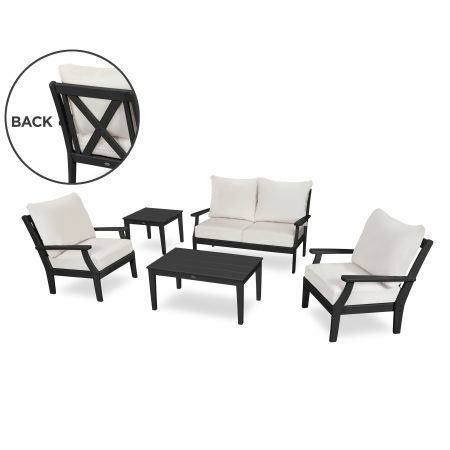 Leave your deep seating sets in the summer sun or uncovered during a rainstorm without worrying that the materials will be damaged. The marine-grade Sunbrella® fabric used for the outdoor deep seating cushions is weatherproof and naturally resistant to bacterial buildup. And our unique Color-Stay Technology ensures the vivid lumber colors looks great season after season.. The best part is that POLYWOOD deep seating furniture requires minimal cleaning and maintenance — simply clean the lumber or fabric with a soft-bristle brush and a mixture of mild soap and water to remove grime and dirt when it accumulates. If the cushions happen to get wet, simply stand them upright to dry and they’ll be ready to use in no time! A spacious front porch immediately feels more comfortable and lived in with the addition of a Vineyard 6-Piece Deep Seating Set. Doze off in the deep seating sofa after a morning of gardening or cozy up with your favorite read. Entertain friends by the fire while you roast marshmallows and eat far too many s’mores. 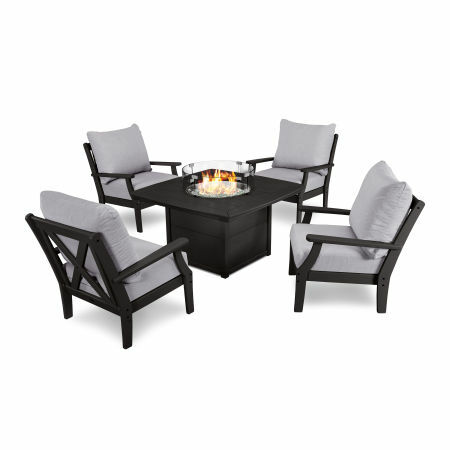 Enjoy the crackling sound of the adjustable flame in the fire pit table available with our Club 5-Piece Chat Set. There are many size options, multiple styles, plenty of colors, and seemingly endless combinations of all three. 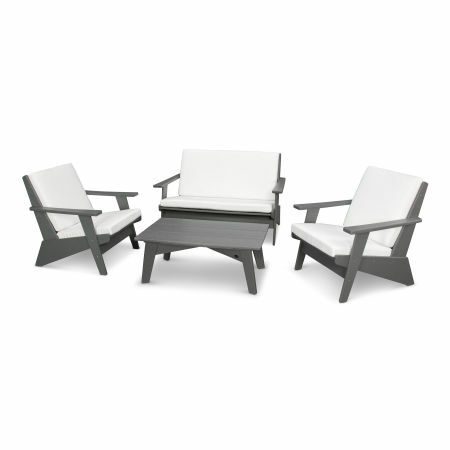 If deciding on a deep seating set has you feeling overwhelmed, check out our guide to learn what to consider when buying outdoor deep seating furniture. 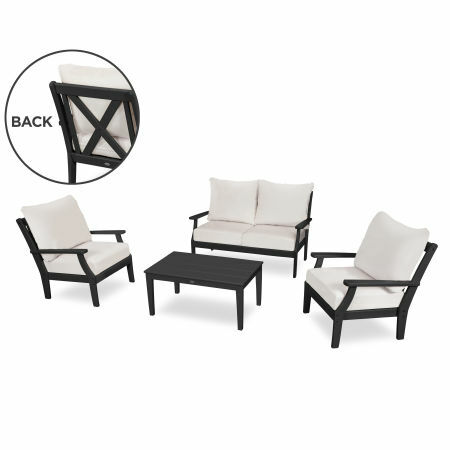 With our expert advice you can avoid common mistakes homeowners make when shopping for outdoor furniture and you’ll feel confident when you choose the perfect outdoor deep seating set for your outdoor space.